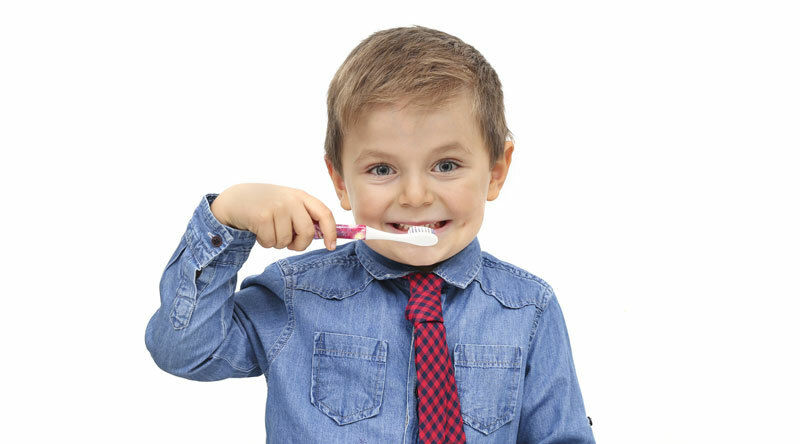 At St John’s Wood Dentist, we know that regular tooth brushing is not only essential for adults but for children too. It’s important to start this habit from a young age, as it will help it become part of an everyday routine. It’s helpful for children to see their caregivers lead by example, as young kids love to imitate. By making it a daily family activity, it is more likely to become the norm for your child. Why should your children brush their teeth every day? Daily brushing helps prevent tooth decay, as it removes the bacteria and plaque that causes this. Cavities can cause pain, in turn making eating difficult, so every effort should be made to keep your kids’ teeth as healthy and strong as possible. The health of their teeth in childhood can have a real impact on the health of their adult teeth, as well as their self-esteem, so it’s incredibly important to establish best practice early on. Babies’ teeth should be brushed from when they first appear; by the time kids are three, most will have a full set, and by then the habit of brushing should be established. Regularly take your child to the dentist. Children's check-ups are free in the UK, and bringing them routinely (for example, when you have your own check-up) is a great way to normalise the experience for them, and get them used to the concept. Reading books about the dentist before each visit is a really helpful way to get kids in the mindset for the visit ahead, and turn it into an adventure. It goes without saying, but limit sugar, especially sweets and sugary drinks, as these can be incredibly harmful to young teeth.